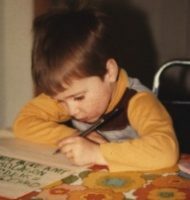 I recently got back into doing some genealogical research on my family. For awhile I’ve felt stuck on most lines since I’ve gone as far as the most common records go. A lot of my research now requires even more research into finding the records themselves. I need to make a lot of Family History Center stops and browse through microfilm, or hopefully do it from my home when FamilySearch digitizes it. Imagine my surprise when doing some basic record updating on some of my great-great-grandmother, Anna (Lindner) Zalewski’s siblings. I know her younger brother John was also found in Milwaukee and I had sources from the census records. 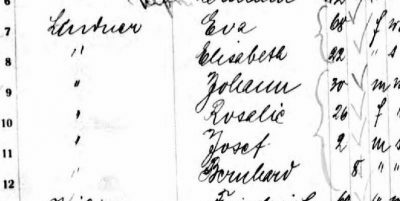 I also found his naturalization record, which not only included his date of arrival and port (29 Mar 1908, New York), but also included the witnesses. They were my great-grandfather, Joseph Zalewski, and his brother-in-law, John Strelka (husband of Martha Zalewski.) So, I knew I had the right John Lindner. No one on Ancestry had a passenger list attached to their John Lindner entries. I mean, he came into New York in 1908, the record had to be there. That was when Ellis Island was being used. So, I plugged in different combinations of options into the search through the “New York, Passenger Lists, 1820-1957” database. I went through each one and almost gave up when I spotted the name “Yohann Lendner” at the bottom of the results. The arrival date was a month off from the naturalization record (29 Feb 1908), but the birth was very close. I clicked on it to confirm it was wrong when I spotted his immediate family that matched, two siblings that matched, and then the jackpot, his mother (my 3rd-great-grandmother) that matched. 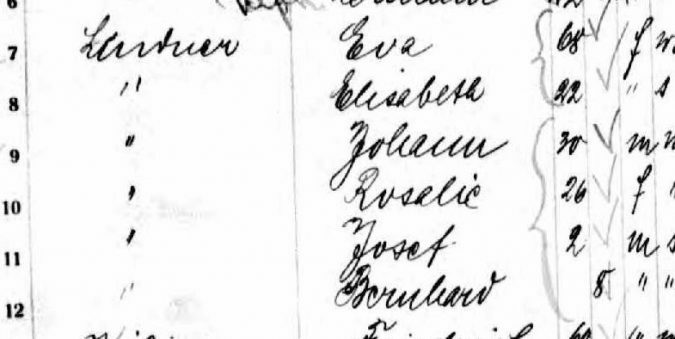 I had no idea that my 3rd-great-grandmother, Eva (Sońefeld) Lindner, ever came to the United States. It seems her husband, Johann, had passed away as she was listed as “Widowed.” Fortunately for me, this passenger list also had more details like where they last resided and a relative of their’s in the “old world.” The weird thing is that for everyone in the Lindner family, including the relative, they listed Gelsenkirchen, Rheinland as their last residence. This place still exists, now located in the North Rhine-Westphalia area of western Germany. This is a pretty good distance from the place I found them last, which was then called Schwenten in today’s north-central Poland. It’s not out of the realm of possibility, but it adds so many more questions. One other big question is where did Eva go? She’s not listed in the 1910 Census with any of the Lindner children or by herself (as far as I’ve found so far.) I also have yet to find any death record for her. All I know now is that she made it to New York in 1908, but I don’t know if she ever made it to Milwaukee. I mean, she was 68 years old and at that time that was pretty old. I also find it funny that I found her record of arrival in 1908 on that same day the Chicago Cubs won their first World Series since 1908. As always, more questions than answers, but that’s what we love, isn’t it?